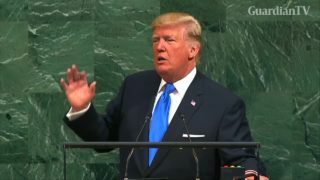 Former U.S. Secretary of State John Kerry discusses his new book "Every Day Is Extra" and the prospects for Iran nuclear talks. Former U.S. Secretary of State John Kerry discusses his new book "Every Day Is Extra," the prospects for Iran nuclear talks and the Trump administration's approach to China. 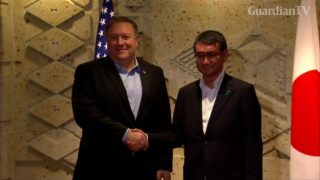 U.S. Secretary of State Mike Pompeo on Sunday (July 8) met with Japanese Foreign Minister Taro Kono in Tokyo, one day after his latest talks in Pyongyang with North Korean officials. 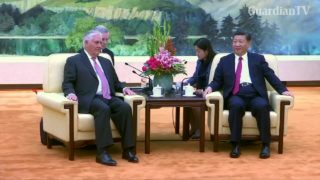 U.S Secretary Of State Rex Tillerson. 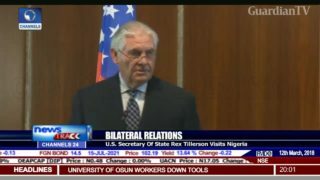 U.S. Secretary of State Rex Tillerson reiterated on Thursday (March 8) that African countries should apply concrete diplomatic and economic pressure on North Korea. 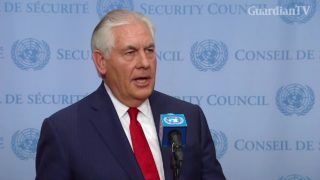 U.S. Secretary of State Rex Tillerson said on Saturday the United States believed it was Russia's responsibility to curb Syria's use of chemical weapons. 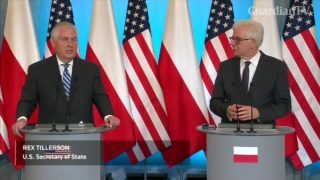 Speaking at a news conference in Poland, Tillerson stood by his earlier comments that the Russia-backed Syrian government may still be using chemical weapons against its own people following a suspected chlorine attack in a rebel enclave in Eastern Ghouta. 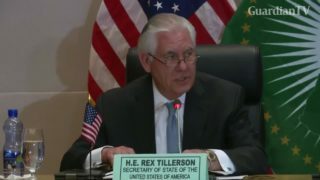 U.S. Secretary of State Rex Tillerson on Friday said the United States would not accept any preconditions for diplomatic talks with North Korea, saying the Trump administration and the international community would continue to pressure Pyongyang. 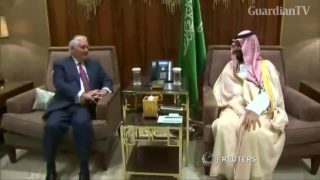 U.S. Secretary of State Rex Tillerson said on Sunday in Riyadh that the growing relationship between Saudi Arabia and Iraq was "vital" to bolstering the collective security, cooperation in the fight against Islamic State and prosperity between the U.S. and both countries. 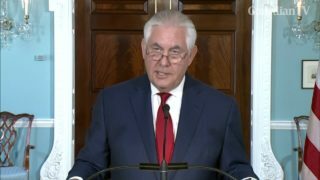 U.S. Secretary of State Rex Tillerson denied the substance of an NBC report on Wednesday, saying he had never considered resigning from his post, and that he was as committed to President Donald Trump's agenda as much today as he was when he first came into office. 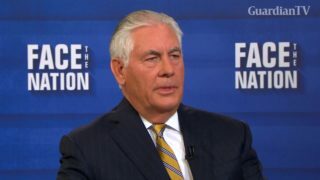 U.S. Secretary of State Rex Tillerson says if diplomatic efforts with North Korea fail, a military option will be the only one left.